Congregational Life Committee’s mandate is the nurturing, maintaining, and enhancing of the Pastoral Charge by the wide and inclusive participation of its people. Its primary function is to promote a strong sense of community life by planning, organizing, and arranging activities to meet the social and fellowship needs of the Pastoral Charge. 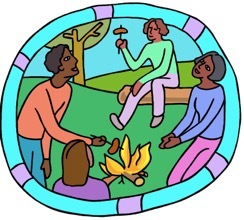 The Congregational Life Committee is also responsible for activities including: Y’all Come Suppers (formerly Families on the Run), the Midwinter Mondays in Freezing February!, Bus Trips, the Car Rally and the Fall Family Camp. The Friday Morning Women’s Breakfast Group is under the umbrella of the Committee. Updated and approved February 2017. Note: There was no January meeting due to inclement weather.